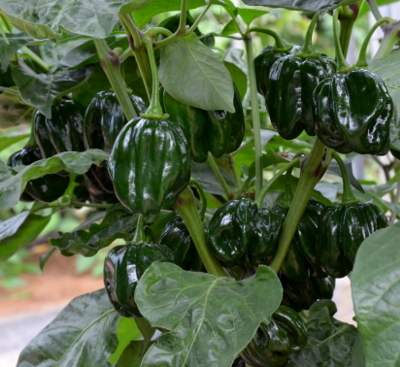 Rather variable in the colour and pungency of the ripe chillies, which vary from dark brown to black. This is clearly a cross which has been released before it is sufficiently uniform. 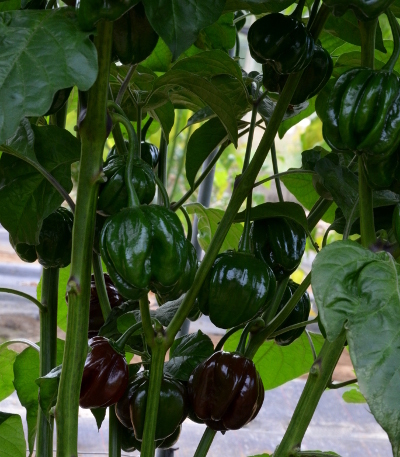 The chillies are larger than most habaneros, and produced in reasonable numbers but ripen rather late in the season. A larger than average habanero chilli with significant variation in pungency, but not excessively hot. 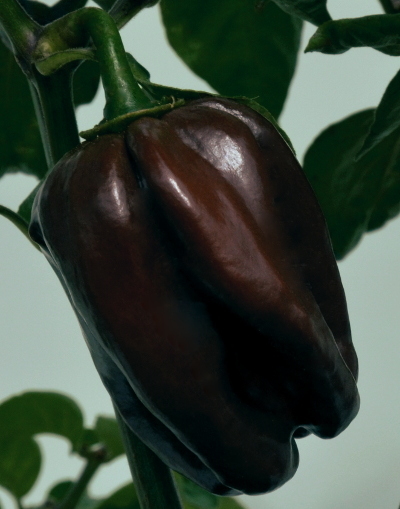 Suitable for stuffing to make chiles rellenos or for chopping into a salsa.